Kids tend to have expensive tastes. From personal tech to fashion labels, you can spend a bundle satisfying your child’s wants. Has any research been done regarding the impact of materialism on kids? Research shows a link between a materialistic focus and low self-esteem. This tends to occur more in the adolescent years when kids are developing their identify and self-worth. Possessing material goods provides a false sense of security and fitting in during a time when peer pressure and peer groups are the focus. Providing teens with opportunities to feel good about themselves can lead to a decrease in materialism. As far as discouraging materialistic desires in children, parents first and foremost should lead by example, right? Like it or not, adults socialize kids to desire and possess more expensive things. Kids learn by watching behaviors modeled by their parents. If parents are more focused on possessions, the likelihood that their kids will behave this way as well increases. With the amount of time kids spend watching TV and online, they are overexposed to commercials and advertisements. Establishing limits around the use of TV and social media will allow for more opportunities for family conversations and activities. Parents can also establish budgets when shopping and say “no” when their kid’s requests exceed this amount. How should parents approach allowance in order to discouraging excessive consumerism? Allowances can be a way for parents to reward the efforts and hard work of their kids. Parents can use this experience as an opportunity to discuss with their kids the importance managing money wisely. 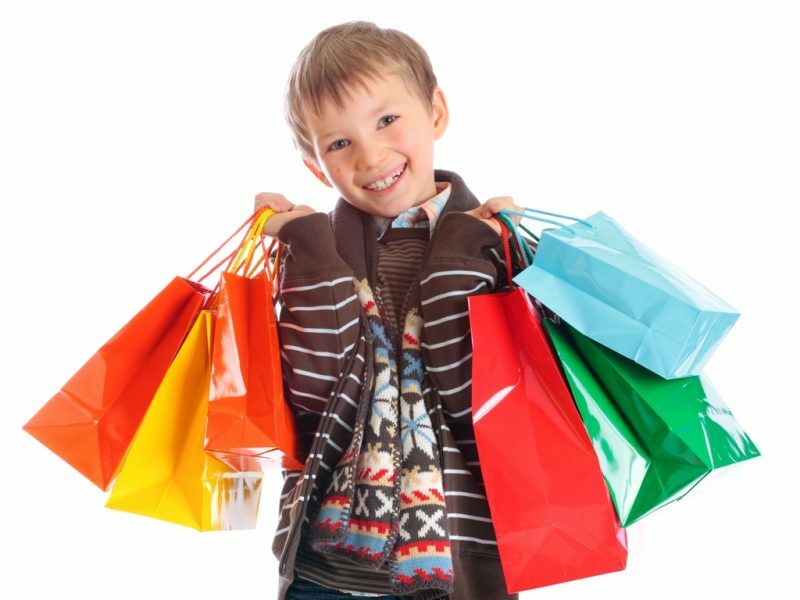 Parents can establish the expectation that allowances are to be used toward items their child wants to purchase. Other options available to parents to recognize their child’s hard work are verbal praise and establishing goals to work toward in order to earn items. For example, completion of established chores for a month may earn with it a certain desired item. The goal of either approach is to foster the child’s worth and to recognize their effort. With the holidays right around the corner, parents can take advantage of opportunities for their kids to experience the positive impact that their actions can have on others around them. Going through closets and gathering clothes that no longer fit to donate to those in need is one way. Volunteering to serve meals or make care packages through local organizations is another. These activities tend to create an awareness in kids that their value is based on who they are and not what they have or don’t have.